This is a YouTube playlist of the songs on Greatest Hits, Volume III (audio and video). Click on the icon in the upper left corner for a list of songs. 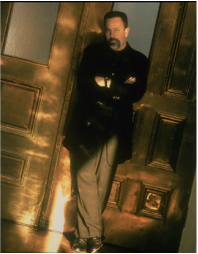 After his 'retirement' in 1993 from recording pop music, Billy was silent for the next four years, other than touring in 1994 and 1995 with Elton John on the first Face to Face tour. 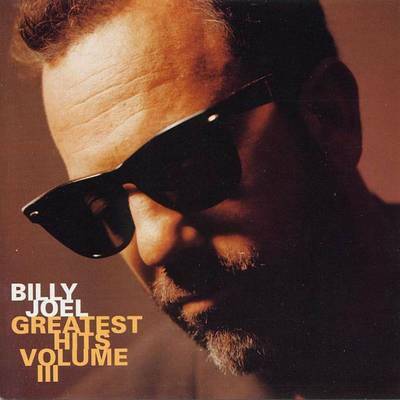 The silence was broken with the release of Greatest Hits, Volume III in 1997. The album came as a surprise to some fans and critics as Billy had only put out three albums since his last greatest hits album, Greatest Hits, Volumes I and II in 1985. But the new Greatest Hits, Volume III, contained tracks from An Innocent Man that were not included in Volumes I and II, as well as recordings of three covers: Bob Dylan's yet-to-be-released "To Make You Feel My Love," Carole King's "Hey Girl" (popularized by Freddie Scott in the 1960s), and Leonard Cohen's "Light as the Breeze." "To Make You Feel My Love" was later recorded by Dylan himself and several others including, Joan Osborne, Trisha Yearwood, Garth Brooks and Adele. Billy gives it a moving and emotional interpretation. 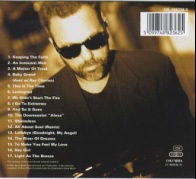 His cover of Cohen's "Light As the Breeze" was also included on the covers tribute album to Cohen, Tower of Song and later on Billy's My Lives collection. Cohen himself praised Billy's cover of the song. It is a gospel-like, powerful, rendition of this tongue-in-cheek song. The cover songs really showcase Billy's skills as a singer, and his selection of songs shows his appreciation for pop music's greats. The other songs on Greatest Hits, Vol. III seem a little bit of a mish-mash, though that is to be expected given Billy's diverse styles. There are six songs from the immensely popular Storm Front album, but it would have been nice to see some non-single tracks like "Getting Closer" from The Bridge and "Famous Last Words" or "Blonde Over Blue" from Rivers of Dreams. The omission of the dated and overwrought "Modern Woman" was a good move, even though it was a top ten single. The one thing that was sorely missing, however, was a new song or two from Billy Joel himself. Whereas Greatest Hits, Volumes I and II included two new songs, "You're Only Human (Second Wind)" and "The Night Is Still Young," Greatest Hits, Volume III did not. On the other hand, Columbia Records also released a Complete Hits boxed set which includes all three volumes and a fourth CD of "An Evening of Questions and Answers with Billy Joel" which was a popular item among fans. Billy appeared on Late Night with David Letterman in 1997 to promote Greatest Hits, Vol. III. He sang "To Make You Feel My Love" and spoke about a meeting with Bob Dylan (who wrote the song), whose daughter was a Billy Joel fan. Billy in an interview on UK television, to promote Greatest Hits, Volume III in 1998. Good Morning America Interview from 1997. CBS This Morning Interview from 1997. E! Network Interview from 1997. 60 Minutes Interview from 1998.